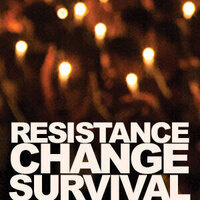 Join three contributors to the Kenyon Review's "Resistance, Change, Survival" as they read from their work. Q&A and book signing will follow the reading. Cynthia Dewi Oka is poet and the author of "Salvage" (Triquarterly, 2017) and "Nomad of Salt and Hard Water" (Thread Makes Blanket Press, 2016). A two-time Pushcart Prize Nominee and recipient of a 2016 Leeway Foundation Art and Change Grant, she has served as a poetry mentor for The Blueshift Journal‘s Speakeasy Project and is pursuing her MFA in Poetry at Warren Wilson College. Originally from Indonesia, she works as a community organizer with the New Sanctuary Movement of Philadelphia. Ladan Osman is a Somali born artist whose work is a lyric and exegetic response to problems of race, gender, displacement, and colonialism. She is the author of "The Kitchen-Dweller’s Testimony" (University of Nebraska Press, 2015), winner of a Sillerman First Book Prize. Her next collection "Exiles of Eden," a work of poetry, photos, and experimental text, is forthcoming with Coffee House Press in 2019. Her work has appeared in Columbia Poetry Review, Prairie Schooner, Roar, and The Rumpus, among others. Osman’s writing has been translated into over 10 languages. She currently lives in Brooklyn. Keith S. Wilson is a game designer, an Affrilachian Poet, a Cave Canem fellow, and a graduate of the Callaloo Creative Writing Workshop. He serves as Assistant Poetry Editor at Four Way Review and Digital Media Editor and Web Consultant at Obsidian Journal. Keith holds an MFA in poetry from Chicago State University. His poetry has been published in two chapbooks: "Generation Oz" (Finishing Line Press, 2011) and "Kindermeal" (Imaginary Friend Press, 2012). Additionally, Keith has had poems nominated for a Pushcart Prize and Best of the Net Award.